In case your API key is compromised, or for any other reason, you can block the access to the API by regenerating the API token, or by locking the API. You can do these actions in Account Settings, by going to the API Access tab. 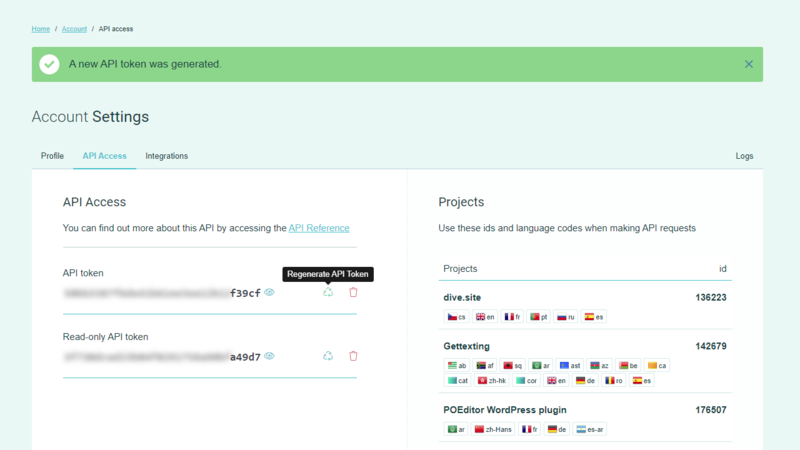 Regenerating the API key or locking the API will also affect any webhooks generated to work with the GitHub, Bitbucket, GitLab or VSTS integration (which use the same API token). Note: If the API is used with a token generated in the account of a project administrator, the actions above should be done in the admin's account, to block API access.